Guests enjoying an evening of great food, wine and flowers during our American Grown Field to Vase Dinner in Homer, Alaska. With five of the seven 2017 American Grown Field to Vase Dinners in the books, planning has begun for the 2018 tour. 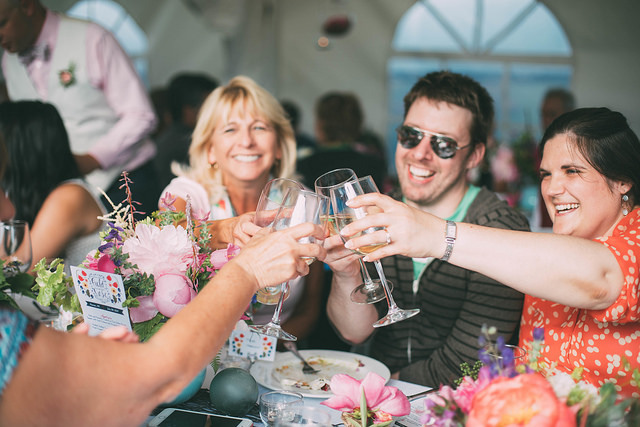 Certified American Grown Flowers recently put out a call for farms who would like to host a pop-up dinner in their flower fields for the 2018 season, the fourth year of the tour. Would you like to be a part of the 2018 American Grown Field to Vase Dinner Tour? Let us know by filling out an application today and click on the link above! Stay tuned for details on where the tour will head in 2018! We may be coming to a city near you!